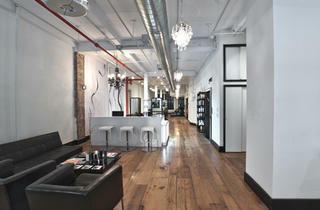 Israeli hairstylist Koby Ben Yaacov opens in the Flatiron District his second high-end salon, following the success of his original Soho spot. 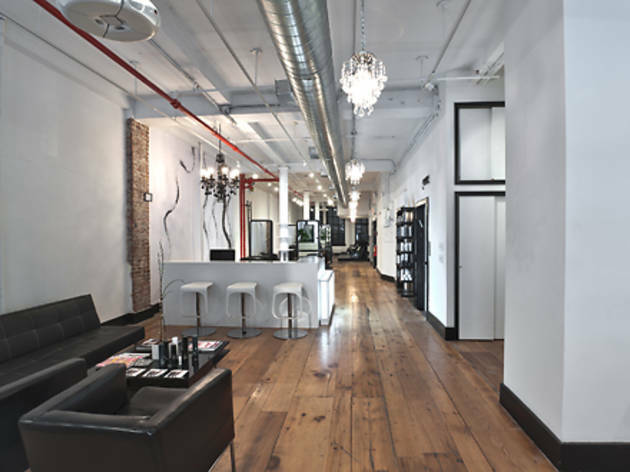 Rather than hire full-time staffers, Ben Yaacov leases out his 18 chairs to independent stylists, attracting top talent from all over the country. Get a sleek blowout ($40–$100), haircut ($75–$200) or balayage ombré color treatment ($150–$300) while sipping gratis peppermint tea and being treated to a free five-minute shoulder massage. As a bonus, every treatment comes with a complimentary five-minute minifacial for men or a gratis five-minute hand massage for women. The stylists use minty, organic Label M shampoo ($19) and conditioner ($26), which are available for purchase at the salon. You can also grab metal hair wands ($22) designed by Ben Yaacov that will hold your locks in the perfect chignon.